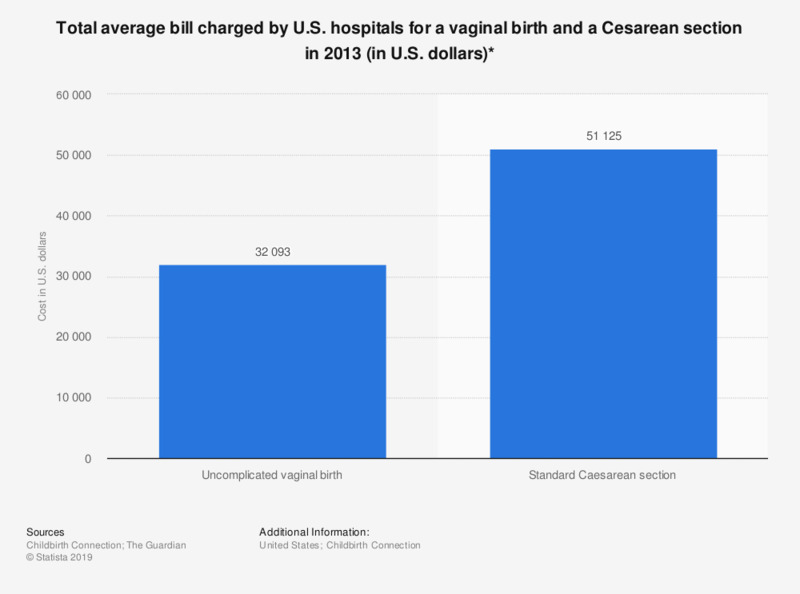 This statistic depicts the total average bill charged by U.S. hospitals for a vaginal birth and a C-section in 2013, including newborn care. On average, an uncomplicated vaginal delivery cost some 32 thousand U.S. dollars at U.S. hospitals. A standard Cesarean delivery cost almost 20 thousand dollars more. Of these amounts, insurances typically cover the largest part, but still, families often have to pay thousands of dollars in birth costs.